Holiday Cottages in Eastern England. View details for Clinton House in East Dereham, Norfolk. Provided by Holidaycottages.cc. 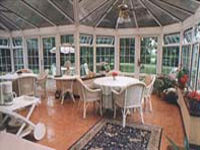 Clinton House Charming detached 18th century country house ideal for family gatherings. Lounge with beams, inglenook and woodburner. Large dining room seating 8-12. 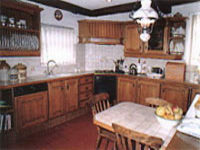 Well equipped fitted oak kitchen and utility room. Spacious entrance hall, large conservatory, patio, garden furniture and mature gardens. Four tastefully decorated and comfortable bedrooms. Bathroom and shower room and ground floor cloakroom. Central heating.